Benny has been raving to me about Xiang Ji’s roasted pork belly for over a year now. He has eaten there countless time of course (not sick of the food?) and this is the stall he swears by whenever he craves for 烧腊 (pronounced as “siew lup” in Cantonese) meaning Chinese roasts. I was excited to be able to try this stall’s siew lup, finally! 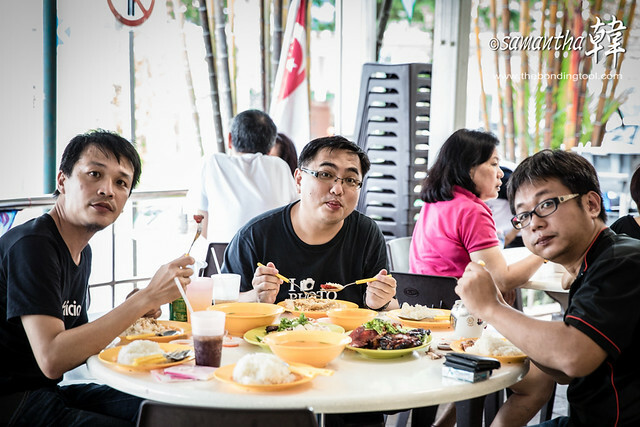 It was early afternoon when we came back from Sungei Buloh Wetland Reserve excursion and by now we were all tired and very hungry. The crowd was still thick even though it was after the peak lunch hour. Perhaps people have slept in since it was a public holiday (Hari Raya Puasa). From the time we started eating till we were done, the snaking queue was still relentlessly long. Fowl necks on the lower rung (on the left) showed how many chickens and ducks he had sold earlier. Some may have been thrown into the pot to make broth. It is undeniable that Cantonese makes the best Chinese Roasts but in Singapore, it is not surprising that Hainanese cooks can master the roasting technique well, too! But whichever ethnic dialect group cooks this dish, it is common to place our orders in Cantonese. We ordered a medley of all the meats available but alas, the organ meats like gizzard and liver were sold out. The yau choy (油菜 literally meaning oily vegetables), a side dish usually made of quick blanched bok choy and topped with oyster sauce, was sold out. The Kway Teow (flat rice noodles) I wanted was sold out, too! 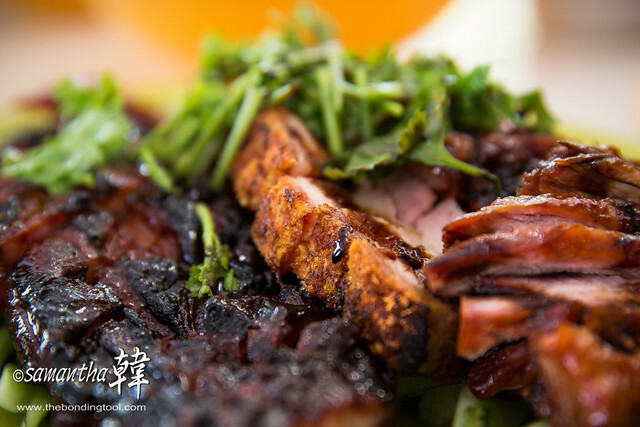 From left: BBQ Pork Ribs (排骨 – Pai Kuat), Roasted Pork Belly (烧肉 – Siew Yoke) and BBQ Pork (叉烧 – Charsiu). 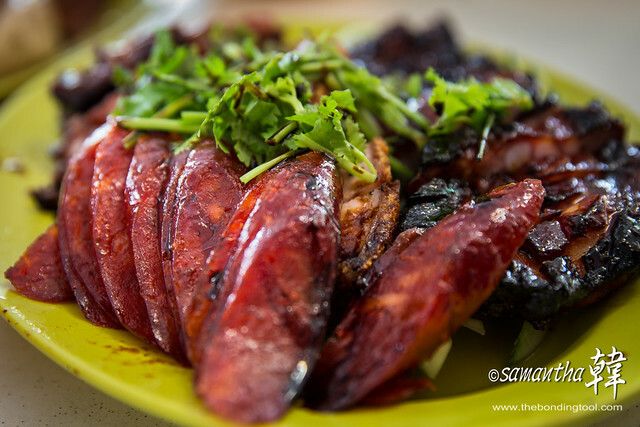 Chinese Waxed Sausage (臘腸 – Lap Cheong). This is a rare find as not many roast meat stalls are selling them nowadays. 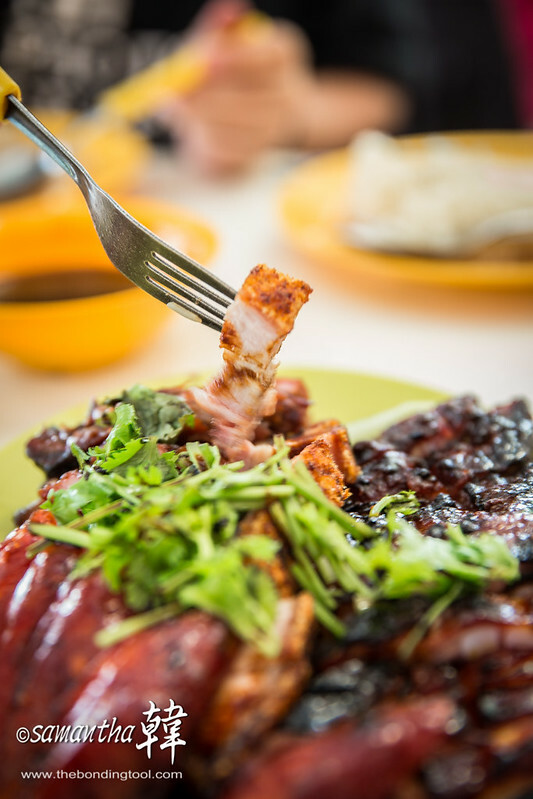 BBQ Pork Ribs (烧排骨 – Pai Kuat) is one of the stall’s signature dish. The Roasted Duck (烧鸭 -Siew Arp in the background) was juicy and the skin crisp. The stall’s signature dish is the Roasted Chicken but Benny loves White Chicken so that’s what we had. The boys loved the Roasted Duck and ate so much of it I had nothing to snap. Free bowls of very tasty Chicken Broth were given, msg? Look at the tables behind me, all the yellow bowls and plates indicated the Xiang Ji is the most popular stall in BB289 Food House. We had BBQ Pork Ribs (Pai Kuat), BBQ Pork (Charsiu), Roasted Pork Belly (Siew Yoke), Chinese Sausage (Lap Cheong), Roasted Duck and White Chicken in portions enough for 4 people. We also had 6 rice altogether (3 oily and 3 plain). Two big bowls of tasty chicken broths were given gratis. At S$7.50 per pax, I’d say this was truly a delicious yet value-for-money meal. 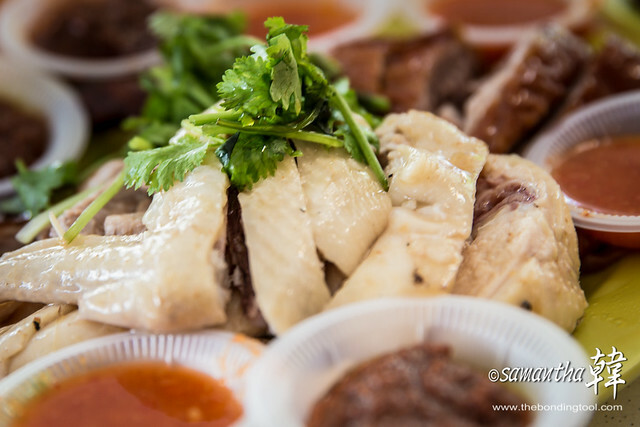 The signature dishes at Xiang Ji Roasted Chicken Rice Noodle 香记烧腊鸡饭麵 surprisingly is of course the Roasted Chicken which the stall is named after and the BBQ Pork Ribs which we would have missed if Seow did not mentioned he wanted that. Imagine missing two signature dishes??? It was a good call for the BBQ Pork Ribs as we found out were more tender than the very lean Charsiu. Both were tasty but we preferred fatty charsiu. The Siew Yoke was clearly a winner with its succulent and juicy meat whilst achieving that brittle crumbly top, I wonder why food reviewers failed to mention that. 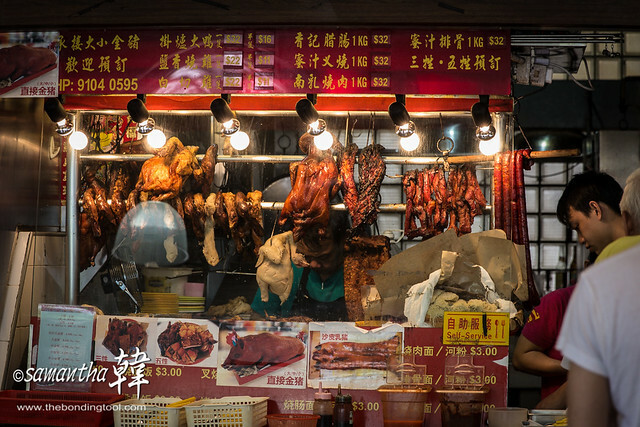 The Roasted Duck had crisp skin, tender juicy meat and mild seasonings but I have another preferred stall in a different part of Singapore so for those living in the west, this is one of the best bets. 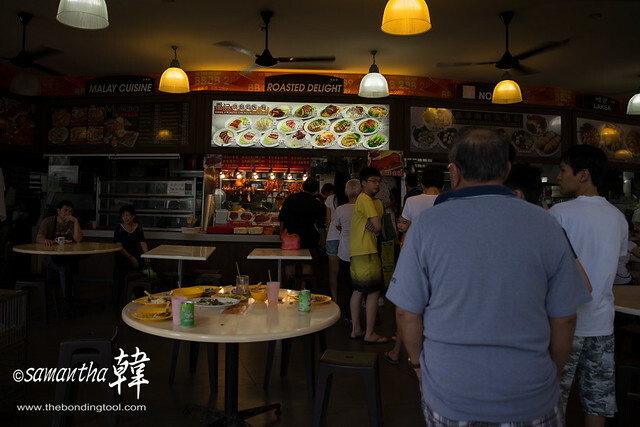 Most Chinese roast stalls in kopitiams and food courts do not sell Lap Cheong and even for those who offered, they are usually dry and hard. 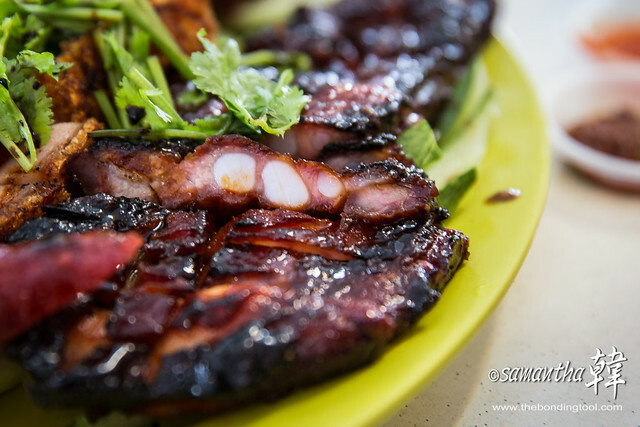 Xiang Ji’s proved to be moist, delicate and flavoursome which most stalls could not achieve. The White Chicken was smooth and had no overpowering gamey smell which is often the case with other stalls and that is why my children preferred roast chickens. Before we finished eating, Yama scooted off to join in the queue. He went to dabao (take-away) more BBQ Pork Ribs and Roasted Pork Belly before they sold out and I think this summed up what we thought of our meal here. We are planning to eat there again this week! 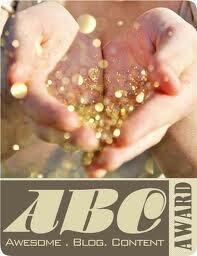 Address: BB 289 Food House. Block 289H, Bukit Batok Street 25. I had good and delicious Hainanese chicken in the Philippines. It sounds good but I would not be unhappy that the gizzards and liver were sold out. 🙂 You’ll have to go earlier next time.